Vezi Acum Guilty Crown S01E02 - Survival of the Fittest Online Subtitrat in romana calitate HD. 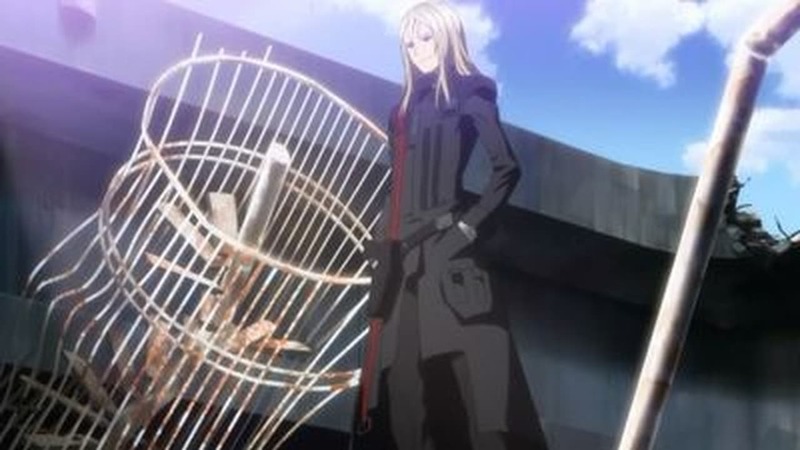 Guilty Crown S01E02 - Survival of the Fittest este un episod lansat pe 3 decembrie 2012 super! Vezi acum online gratuit! After destroying several GHQ Endlaves, Shu, Inori and the Undertakers are forced to retreat when an advanced Endlave joins the battle ridden by 2nd Lieutenant Daryl "Kill 'Em All" Yan, a narcissist officer who hates being touch on the grounds people are infected. After regrouping with the others, Gai congratulates his hacker Tsugumi and Endlave pilot Ayase Shinomiya but scolds Inori as he wanted the power of the Void Genome but instead was given to Shu. Never the less, Gai still wants the "Power of Kings" and asks Shu for help. When Guin holds a group of innocent civilians hostage where Daryl and several soldiers execute some of them and orders the Undertakers to surrender themselves, the Undertakers trick Daryl to drive his Endlave away from Guin's command center where the Undertakers have a stand off with Guin's men. Using the stand off as a diversion, Shu heads to the truck that holds Daryl's cockpit where Shu pulls out Daryl's Void, a weapon called Kaleidoscope. When Guin fires his laser weapons at Gai, Shu uses Kaleidoscope to shield Gai and deflects the lasers back at Guin and his men, killing them. Despite seeing the atrocities the GHQ does and what the Undertakers are fighting for, Shu declines to join them as he feels he is no hero. But the next day to his surprise, Inori has transferred to his school. Distribuie sau scrie parerea ta despre episodul Guilty Crown S01E02 - Survival of the Fittest.